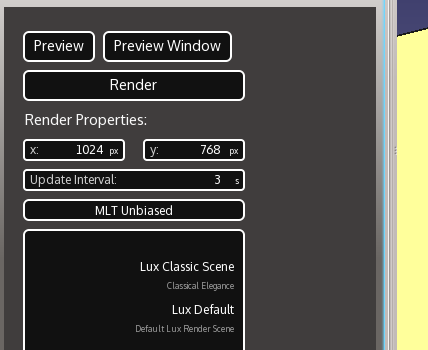 This is for the upcoming Render Module. Despite my very limited experience with rendering and modelling it appears that to get that 'wow' factor it will take a lot of scenes. Most people have better things to do so that is where templates come into play. 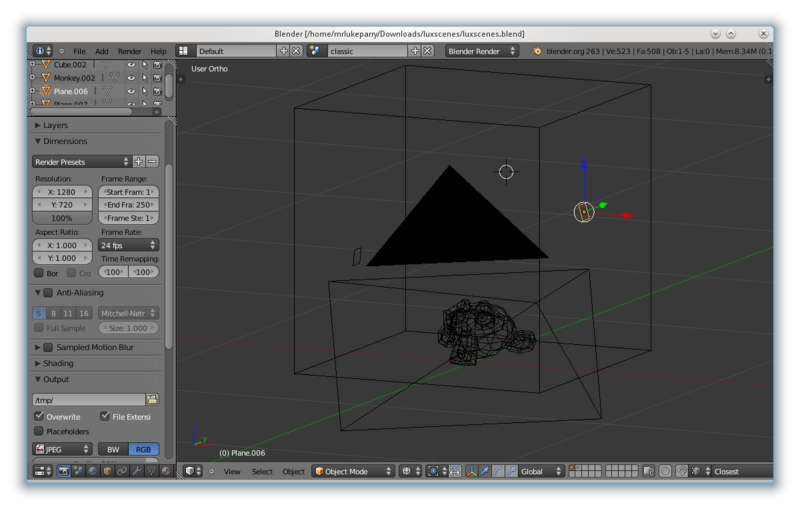 I don't have any clue how to use Blender, so you will have to figure that for yourselves. Nevertheless the important that you must have the scene normalised to a unit length. Ideally you have a cube with side lengths as one and build up a scene around this. For the scene template, we only need to find lights, geometry and materials information. 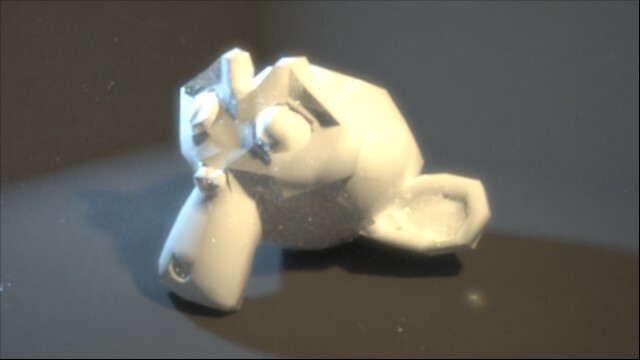 Materials are most likely to be used on the geometry within the scene. Using a templates like this means we can texture surfaces, which isn't going to appear within FreeCAD in the near future. 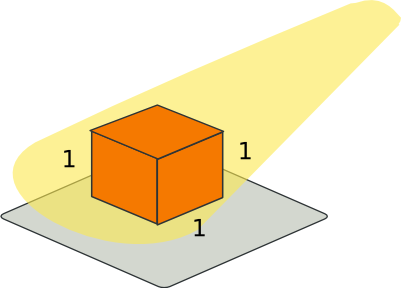 With the rotation, you specify an angle about a given axis, so in the case of blender this may have to be done three times, in the x,y,z directions. Create a folder in Templates/Lux to hold your template such as Templates/Lux/Classic. Then copy the file luxSceneClassic.lxs you previously created inside here. I am not sure when you compile and build FreeCAD each time if this template folder will be deleted. Most likely not. Later, I will make a preference option so you can use your own folder. Create a new Render Feature. Now position the camera where you want and hit Preview Window. Currently there might be times where the render is just a black screen - so to quickly solve this just play around with the camera a bit. Hopefully this make sense, feel free to post questions on here if you're stuck!